What does kindness have to do with mindfulness or even with writing? And just what exactly is mindfulness? To this, I would also add that mindfulness is observing your experience, including thoughts and feelings, without judgement. The moment we add judgement into the mix, we lose mindfulness. This is incredibly important and yet it is what we are most likely to overlook. 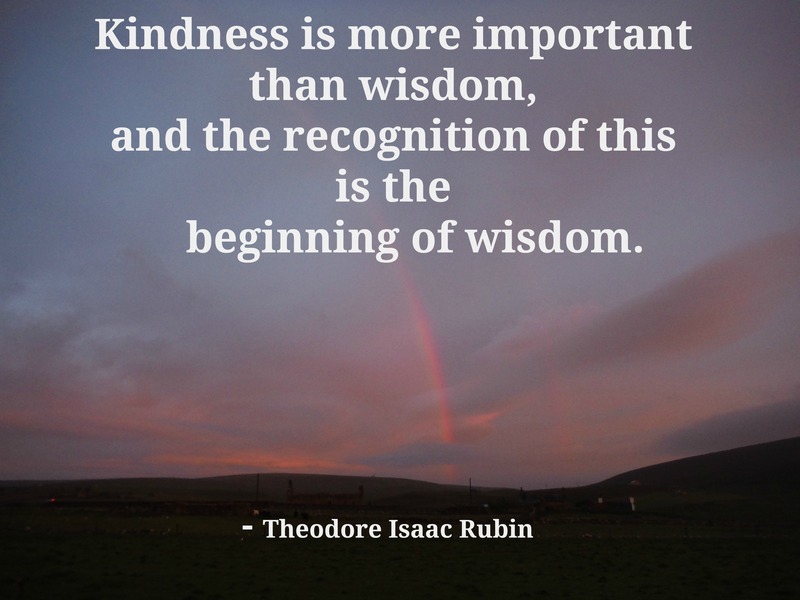 By now, you can possibly see that kindness does have something to do with my definition of mindfulness. Kindness begins with ourselves, and it begins with not judging ourselves for our thoughts and feelings. It’s that simple. Notice I didn’t say it was easy; I said it was simple. For a start, even the word judgement can be misunderstood. “If I don’t judge myself,” you might be thinking, “I will go and do terrible things.” But think about it: do we need to beat ourselves up to know that we’d rather not go out murdering? Do we need to tell ourselves we are bad and stupid to stop ourselves stealing or vandalising property? No. So we already know that we prefer not to do those things, and maybe we can trust that. In his book The Compassionate Mind, psychologist Paul Gilbert describes non self-judgement as: “giving up of self-attacking and condemning.” We can still have values and preferences. He also makes the very important point that criticising and condemning create feelings inside us – and those feelings are often “anger, frustration or contempt.” When we direct those towards ourselves they lead to depression and self-hatred, which do not help us to create. They also feel so bad that we invariably look around for someone else to blame – and so we hate the people around us too. Bryon Katie, who developed a process of mindful inquiry she calls The Work, said that in the days before she had a spontaneous awakening she followed the Biblical rule: Love thy neighbour as thyself. She hated herself and she hated everyone else too. We humans truly are a strange species. Often, when we realise that we have been doing something that isn’t in our own best interests (such as self-criticising) we either then defend ourselves for doing so: “If I don’t I’ll never change,” or attack ourselves: “I’m such a stupid fool for doing that.” Notice how they both amount to the same thing? It would be funny if the results weren’t so tragic: according to Paul Gilbert, over half of us will have some form of mental health problem at some time in our lives, with depression topping the list. Okay, yes, I am aware I haven’t answered the first part of that first question yet: what does kindness have to do with writing? Of course, writers do need to be able to evaluate their own work, to rewrite, to make changes. It’s common knowledge that in December and January agents and publishers are inundated with “novels” people have written during November’s NaNoWriMo spurt. Not only are NaNo’s 50,000 words far too short to count as a novel in most publisher’s eyes, but these novels are entirely unedited. Any novel worth writing needs rewriting and rewriting again. And then some editing. This type of criticism is not the same as attacking yourself – and ironically from my experience as a writer and as a creative writing tutor, I’d say that it’s often the people who attack themselves most who can be least willing to look critically at their own work. They expect to feel shame, so try to blank that out by hoping for the best or for someone else’s approval. So, back to mindfulness. 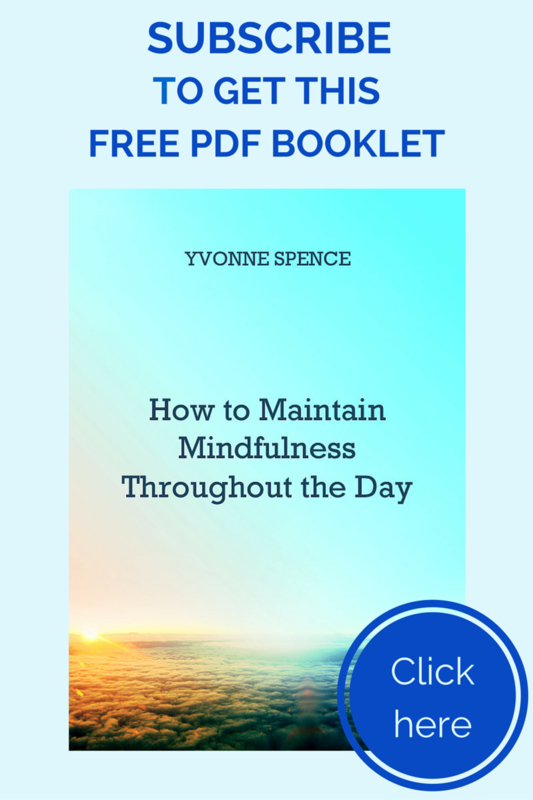 Here are a few suggestions for how to incorporate mindfulness into your day. When you notice tension in your body, take some time to observe your thoughts. Notice how you feel and how you react when you believe those thoughts. Then remind yourself that these thoughts are simply beliefs – they are not the truth, no matter how much it might seem they are. They feel true because you believe them, not because they are. Say, for instance, you notice a thought, “I can’t do it, my writing will be dross.” Notice that you can’t possibly know that in advance. It’s just a belief, not reality – a story you have told yourself. We believe things like this about ourselves because we store away memories of times we didn’t do as well as we’d have liked, or maybe when someone else criticised us, and we want to save ourselves from more humiliation. But in doing so, we humiliate ourselves right now. We dredge up past failures as proof of how useless we are – and then we try to force ourselves to change. In an interview in Lit Reactor, psychotherapist and author Philip Kenney says that delving “into the unconscious to bring it into public is threatening.” (I thoroughly recommend you read this article – it’s great.) To ease the crippling self-critic, Kenney recommends psychotherapy (well he would, wouldn’t he?) He also recommends meditation and says there are two kinds of meditation – mindfulness, and focusing on “the sense of presence or being, as the source of our existence.” In my experience, this sense of presence reveals itself when we let go of the beliefs and stories that we think are who we are. Many people fear this presence, or think that if they let go of their stories they will have nothing to write about. My experience is that the opposite is true. The quote at the beginning of this post is a “Daily Peace Quote” that came to me via Living Compassion. If you’d a moment to contemplate peace every day, then sign up too! I love this! It’s so hard to keep that inner judge at bay when you just need to get the words on paper ~ thanks for such a thoughtful post! Sarah, when I was a beginning writer, I imagined that it got easier with experience and it does to an extent, but it is does need constant awareness to get past that inner judge! Maybe someday… I’m glad you enjoyed this, and thanks for your comment. I never really thought about the connection between mindfulness and kindness, but you are right and it’s definitely not easy. A lot of food for thought in this post. Salma, without kindness towards ourselves it’s not mindfulness but judging. I guess this is where a lot of people stumble. I certainly used to. I found this valuable, thank you. It does sound like replacing self-attacking and condemning with preferences and values should be a “simple” adjustment. I shall try. I’m pleased you found it valuable. Hope it works out for you, and thanks for your comment. Thought provoking and beautifully written! Good words I needed to read ttoday! I’m glad it was helpful Jill. Thanks for your comment.